A lawyer and father, who was confronted by hitman calmly handed over his baby daughter to woman before being executed in street. 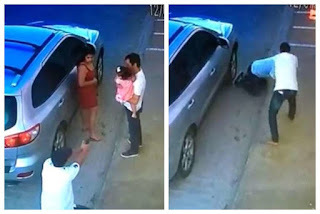 The horrific moment a lawyer who was confronted by a hitman in the street calmly handed over his toddler daughter to safety moments before his brutal execution was captured on CCTV. 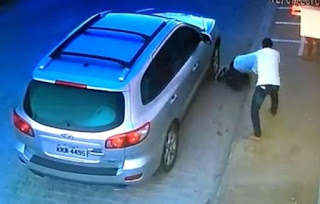 The cold-blooded killing, occurred just seconds after the man identified as, André Ribeiro, 46, pulled up in his car outside an address in the Brazilian state of Permambuco. 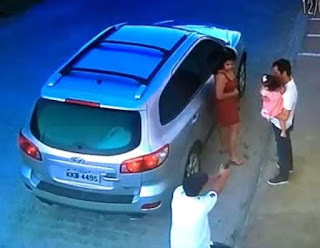 The video shows Mr Riberio getting out of the car and walking over to open the back door, where he picks up his young daughter who is wearing a pink dress with a white bow in her hair. A woman in a red dress, believed to be either Mr Riberio’s partner or nanny, also exits the car while Mr Riberio cuddles his little girl, before the hitman suddenly appears. Dressed in a white T-shirt and black baseball cap, the assassin points a gun towards the family as he walks towards them. After a frozen moment, Mr Riberio calmly turns his back on the thug and hands his daughter over to the woman, ensuring she is safe before kneeling on the ground. 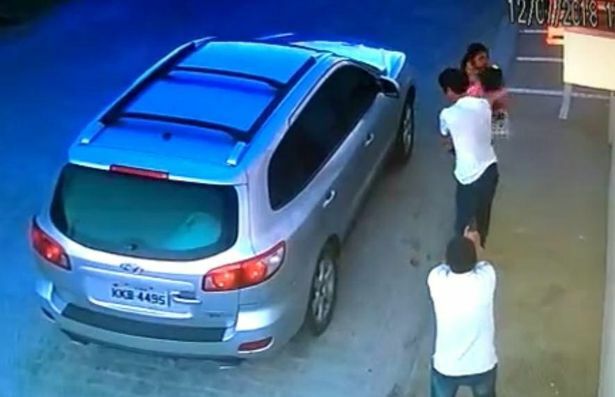 The hitman does not even give enough time for the woman and baby to retreat to a safe distance before firing five bullets into Mr Riberio at point blank range and fleeing the crime scene. 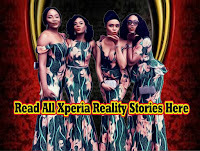 The motive for the killing remains unknown, but The Sun reported that police believe it was an execution rather than a robbery because nothing was stolen.